Caremark (Sutton) franchisee, Hannah Drury is celebrating once again with her recent win of yet another business award. 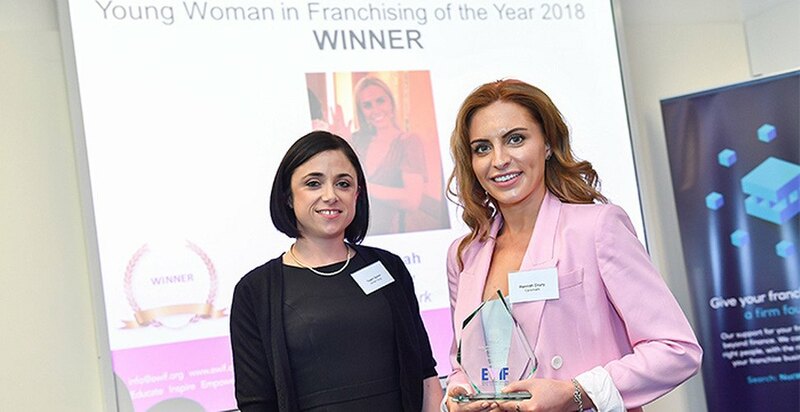 Hannah Drury, 26, (Sutton)’s Operations Director, was presented with the HSBC (EWIF) Young Woman in Franchising of the Year 2018 award at a packed annual awards ceremony held in London, which gathered to celebrate the best up-and-coming businesswomen in franchising. Speaking after the awards ceremony, Hannah said: “It felt wonderful to have been recognised for my hard work and it was very humbling to have been singled out in a room full of successful women.